It’s time for Friday Five linkup with DC area bloggers Courtney at Eat Pray Run DC, Cynthia at You Signed Up for What? !, and Mar at Mar on the Run! Be sure to stop by their blogs and say hello! While you’re there, be sure to check out other bloggers who are participating in the linkup, too. 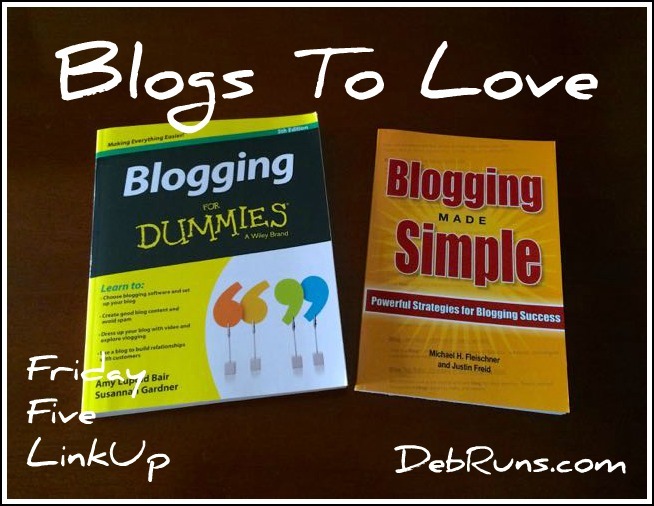 This week the DC Trifecta chose Blogs To Love as the theme…..
Not that many years ago I didn’t even know what a blog was….. Even though I read some blogs here or there, I thought they were just online articles written by professional writers that I’d stumbled upon via a link from a friend on Facebook. I had no idea that the average Deb could have her own little corner of the web, and I had no idea that once I had a blog of my very own that I’d make real-life friends. Friends that I’d try to meet at races, or even better, spend a weekend with while running a 200-mile relay from Cumberland, MD to DC! So without further ado, here are my five blogs to love, each in it’s very own category! If you haven’t figured out by now, Erin is one of my newer running besties. We met about a year ago when she found me via my blog and once I learned that she lived near by, I invited her to join our local MRTT chapter. Erin and I hit it off immediately, and I distinctly remember telling her while on a run one day that she should start a blog. She has so many great ideas, and is so fun to follow on social media. A couple of months ago Erin casually told me that she had just started a blog. It’s great, and if you don’t already follow her shenanigans, start! I think I first discovered Dina when I found her on Facebook. Soon after, she either started her blog, or did a major make-over. I don’t comment often, but I drool a lot at her delicious looking desserts and pin some of her decadent recipes to my private Pinterest dessert board. 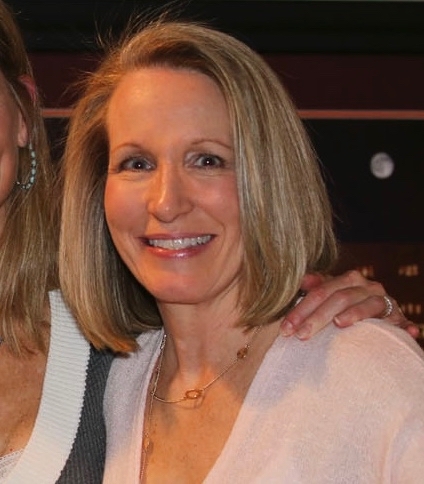 I first met Anne when we were chasing each other through the woods at a local trail race. We finished together with a hug and thanks for pulling/pushing each other along. While hanging out after the race eating egg burritos, we discovered that we each blogged. Anne has a very dry sense of humor that I love, and I always look forward to seeing her newest blog post in my inbox. Anne and I were on the same Ragnar DC team last fall, and it’s always a treat when I bump into her at local races. Meagan was the first blogger that I met as a result of a planned meet-up. She found my blog first, and not only did we have the running connection, but we were both Hokies, and soon realized that we both had a love for farming. Even though Meagan is the same age as my oldest son (heck, even her dad is a year or two younger than me), Meagan and I hit it off. We try to get together when I’m down her way visiting my mom or visiting Virginia Tech for the weekend. We’ve gone on several training runs together, run several races together including Ragnar DC, and in June we will try our hand at running our first Ragnar Trail in WV. Let’s face it, I wouldn’t keep coming back to link up every Friday if I didn’t enjoy Courtney, Cynthia, and Mar and their fabulous blogs! I’ve had the pleasure of meeting Courtney and Cynthia in person at races, and I’m still holding out hope on meeting Mar sometime soon! Be sure to check out some of these blogs and others in the linkup. There are some good reads, written by incredibly nice people! Bloggers: How long have you had your blog? I’m going to have to check out that baking blog–I’m a terrible baker and could definitely use some pointers and inspiration. I’ve been blogging for a little over 2 years. I can’t believe how fast time has passed since I started! I still feel like a newbie. Same here – I’ve been blogging for 2.5 years and can’t believe how fast time has flown by! Definitely check out Buttercream Bakehouse. Her pictures are beautiful and make you want to try the recipes. Courtney @ Eat Pray Run DC recently posted…Five Things I Always Do on Race Day! thank you BOTH for all the inspiration!! It’s such a fun community to be a part of! Of course, Courtney! Love your blog and have learned so much about blogging from your tutorial series. You are so welcome! You bring a breath of fresh air (and silliness) to our runs! Cool list, I haven’t seen most of these, will check them out. Thanks for sharing. Kelli recently posted…Are you sleeping enough? I was happy that three out of five of the blogs were outside of the usual Friday Five contributors so that my readers could find new blogs to follow. I had no idea Erin started a blog!! Awesome! Sue @ This Mama Runs for Cupcakes recently posted…Friday 5: Five Fitness Blogs you should be reading! Goodluck in your race this wkend. I will be running Nashville. I hope the weather cooperates. It’s calling for thunderstorms. I love meeting bloggers in person. It’s great to put a face to a wonderful blog you read. I found Mom and Dad Track Stars through your blog and she has a great sense of humor! I like how you categorized them. I’ll have to check them out! With the exception of the DC Friday Five ladies, I have not heard of these other blogs. Look forward to checking them out! Also, like you, the best part of blogging for me has been making many online and in-real-life friends. I’m so grateful for the blogging community! 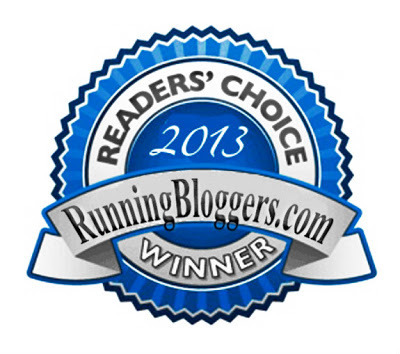 The running/blogging community really is made up of very nice people, and I’m so honored to be a part of it. Definitely check out the bloggers I listed! I’m going to check some of these out! Great list! Thanks, Jenn! I think you’ll like them. Thank you so much for the shout-out, Deb! And for the very, very kind words — you made my day! And if I can return the favor, let me say that you are my example of someone who is Doing this whole fitness-n-blogging thing so totally right! You are very welcome – I so enjoy your wittiness! And thank you for the return compliment. It brought a smile to my face! Have fun running the GW Parkway Classic! I’ll be running the Manassas Runway 5K. on Sunday. I’ll need to read Buttercream Bakehouse. 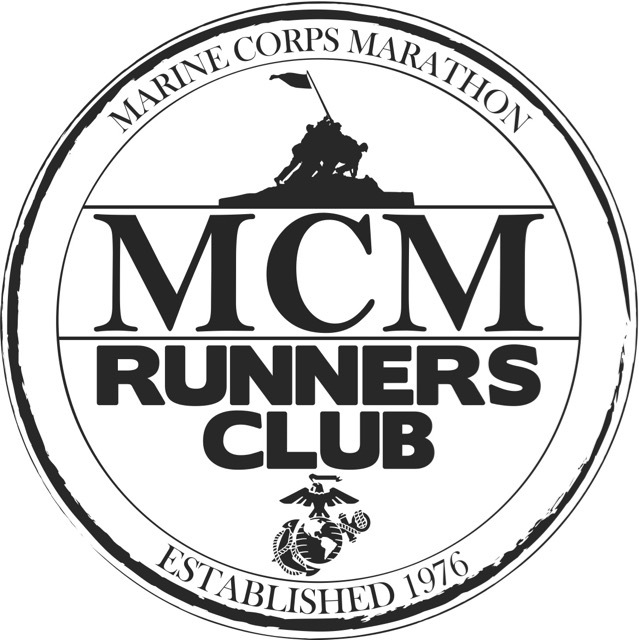 I am glad Erin started her blog, I started following her on IG after you introduced us at the Leesburg 20K and knew she would have an excellent blog if she started one. Ah, that’s right – I remember talking to you about the Manassas Runway 5K and that I couldn’t run it because I had a conflict race. I hope you have a great time, and I can’t wait to read your recap! Love the list this week. I enjoy how you broke out into some categories to pick blogs for. Always hard to just pick 5 I think. thanks for the shout out and joining us every week!!! and GAHHH!!! we’ll make a meet up happen soon, I’m thinking 5/17 trail run!! Let me know if you decided to do the trail run on May 17th! I’m so far behind on my blog reading! Work has been crazy. But thank you for including me 🙂 Age doesn’t matter- a friend is a friend no matter what. We have plenty of things in common, which is often the basis of any friendship!